When I first began teaching, I used to take my teacher bag home almost every night. During the weekends, I even enlisted my poor husband to help me grade papers or cut out templates. On a few occasions, I even took my work with me to the beach! I know, I know, the first rule of teaching is to NEVER take work home! But as a new teacher, I thought that taking my work home just meant that I was dedicated! Little did I know how quickly my teaching job would begin to consume my life. Fast forward 19 years later, and I can honestly say that I RARELY.IF.EVER bring work home. And the truth of the matter is that I still consider myself to be a DEDICATED TEACHER. So how do I do it all during the school day? 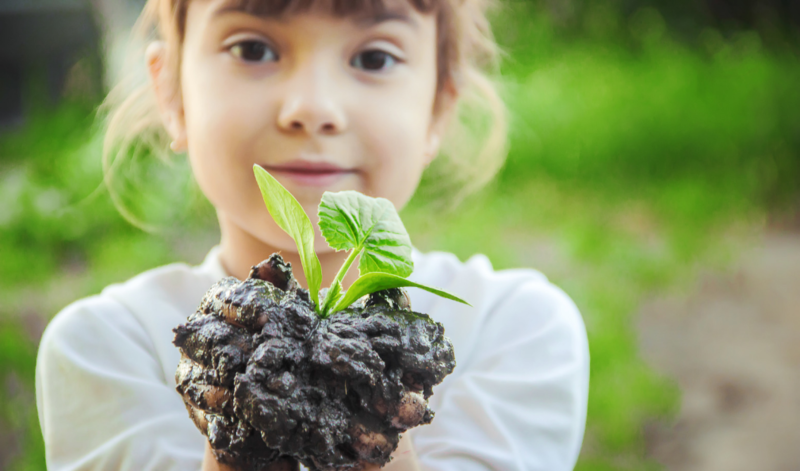 How do I manage to grade papers, create lesson plans, call and meet with parents, analyze and document data, plan for Tier 3 interventions, and put out all the unexpected fires that occur during a regular school day? The truth of the matter is that I DON’T… and you can’t either… and THAT’S. PERFECTLY.OKAY! 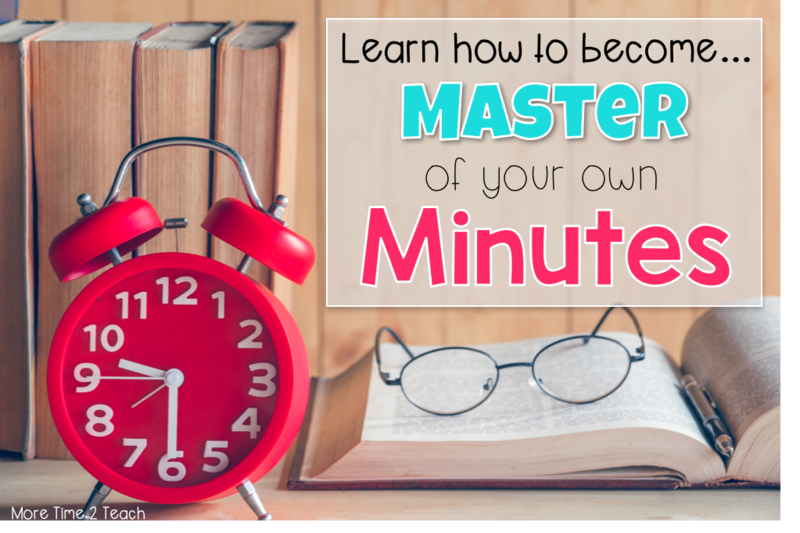 Instead of getting frustrated with not being able to do it all on one day, I’ve learned that the key is to become “Master of Your Own Minutes”. 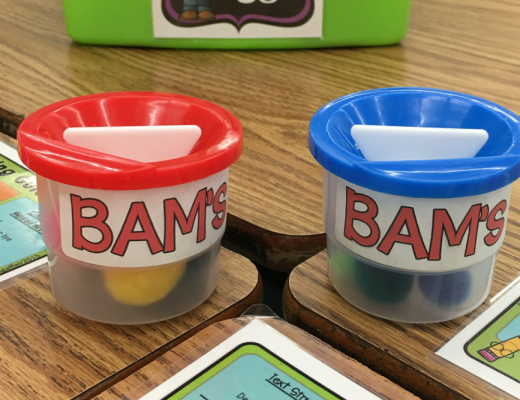 I’ve learned that by following a few simple strategies, you can end the school day feeling good about yourself, and proud of what you have been able to accomplish. Even if you’re just able to get there 30 min. before the day begins, it makes a huge difference! Use this time to plan your day. Look at your calendar and check for any upcoming due dates. 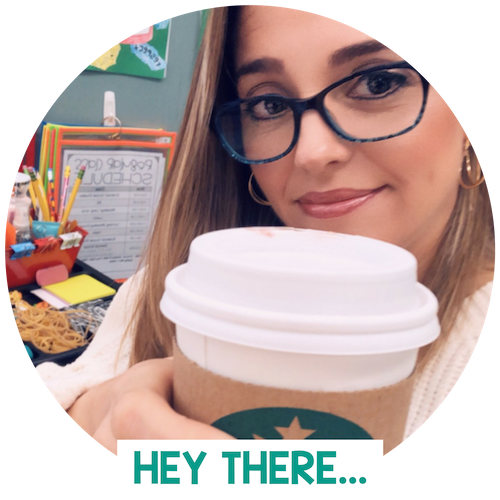 Schedule a parent conference for the morning if possible. Planning these meetings early, guarantees that they won’t last an hour or two. (I kid you not, I learned this lesson the hard way. Apparently, some parents are not in a rush to get home at the end of the day.) If you hold meetings after school, you run the risk of a VERY.LENGTHY.MEETING. #beentheredonethat #notdoingthatagain . Figure out what tasks you have to complete every week. Then create a weekly schedule that includes those tasks and that works for you. For example on Mondays and Tuesdays I like to work on my lesson plans for the following week. On Wednesdays I like to catch up on any student paperwork or parent communications that I have pending. Thursdays is my copy day and Friday I like to prep for the following week or anything unexpected that’s popped up. The key is to develop a routine or a plan that works for you and to stick to it. 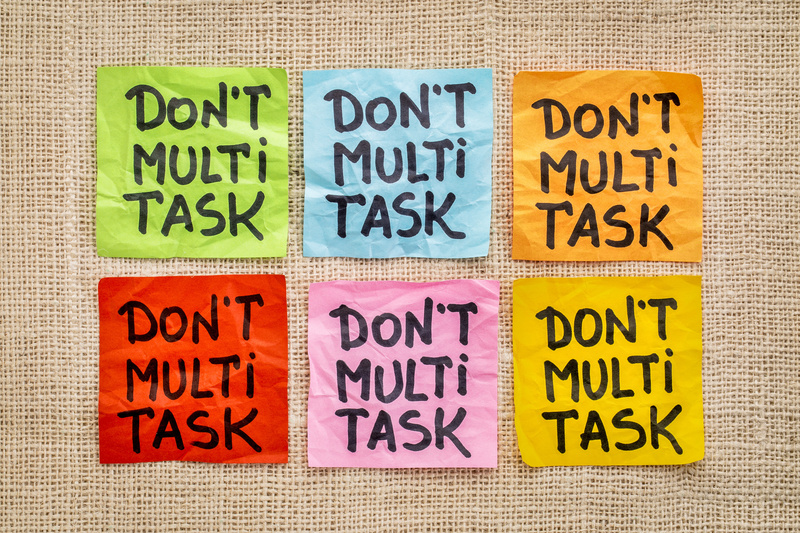 Don’t try to multitask… I repeat, DO NOT MULTI-TASK! I know that many people believe that they are great multi-taskers, but the truth is that they.are.not. I’m one of those people! It’s sad, but for years I convinced myself that I could do it. Of course I could… I mean I was a mom… And everyone knows that mom’s are good at multi-tasking, right? WRONG!!! As a matter of fact, after doing a little bit of research of my own, I discovered that only a very small percentage of the population are actually good at it. 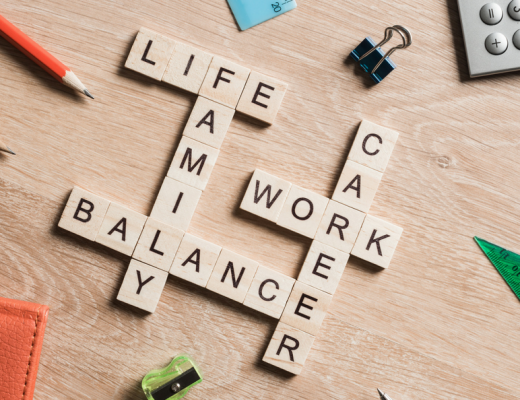 Scientists at Stanford University found out that “people who multitask are actually less productive and waste more time when switching between tasks”. So don’t bite off more than you can chew. Stick to one task… see it through… do it well… and once you’ve checked it off your list… move on to the next task. 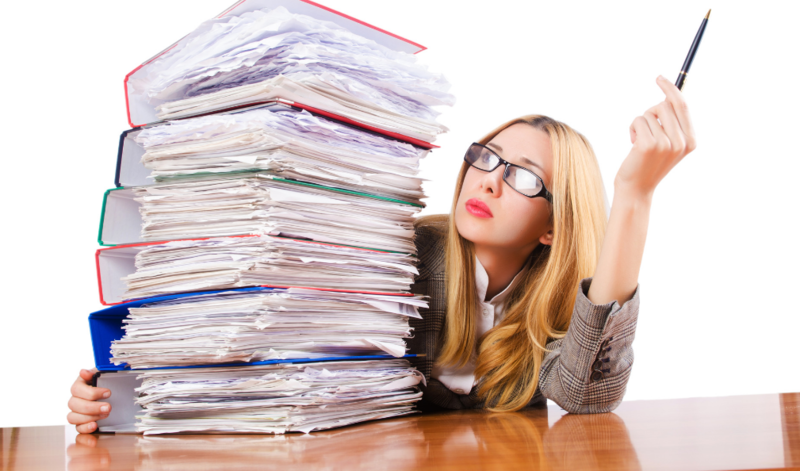 Stop overwhelming yourself with a long list of To Do’s. Instead, begin each day by picking your Top Three To Do’s for that day. Write them down on a post it and stick it on your planner or somewhere you can see it easily. Refer to it throughout the day. Those are your goals for the day! Remember to stick to one task at a time, and cross them off as you complete them. Trust me when I tell you that at the end of the day when you see your Top Three to do’s checked off, you’re going to feel accomplished! Especially since you’re probably used to keeping a ginormous list where you cross one task off only to find that 10 more To Do’s mysteriously made their way onto the list. Pretty hard to feel accomplished like that, don’t you think! 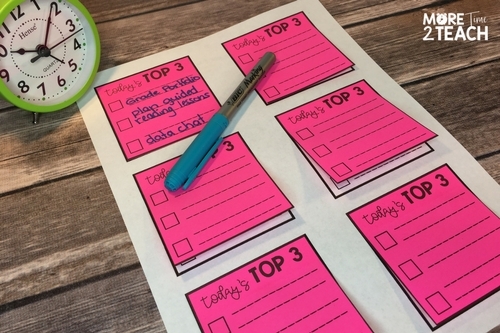 Click here to download a template so that you can print your own Today’s Top 3 to do list. Now, I know what you’re thinking… you have ALOT more than 3 To Do’s a week. I know I do… but I like to keep a master To Do list tucked away so that I’m not always staring at my L-O-N-G grocery list that never seems to go away. That’s actually where I go to select my top three for the day. I’ve found that focusing on 3 daily tasks keeps me focused. I also seem to accomplish more because I’m not anxious that I don’t have time to complete everything on my list. 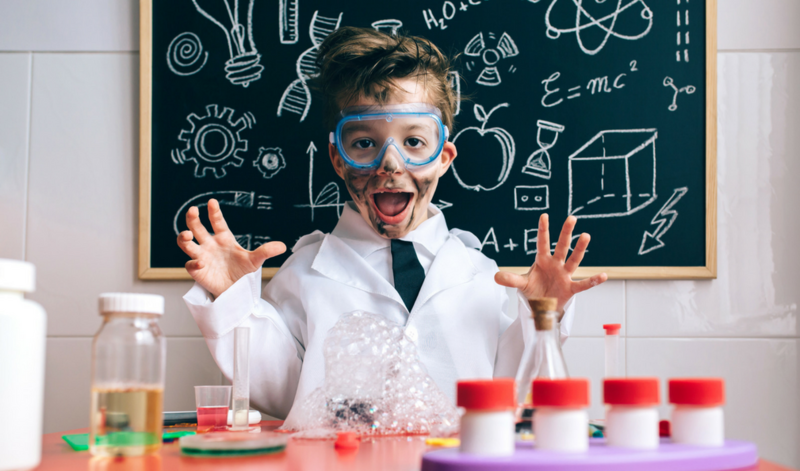 Don’t waste time looking for resources buried underneath that hot mess on your desk! Instead, try to keep things organized. 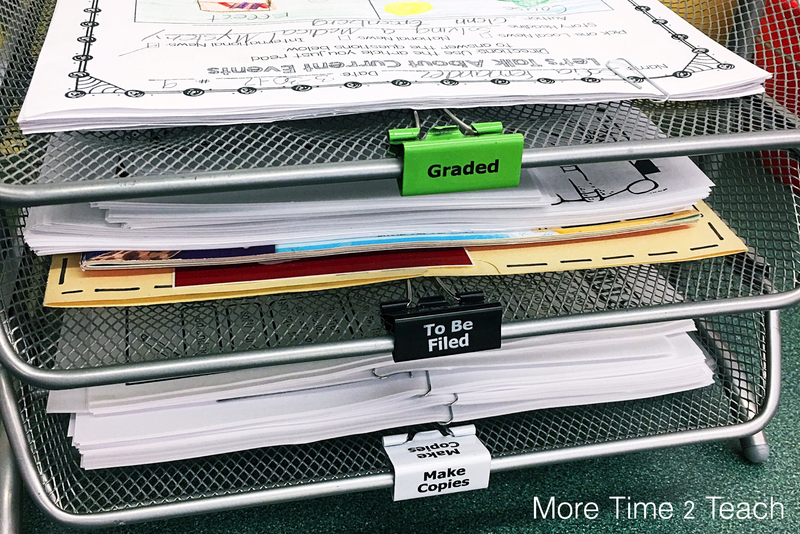 Have a system in place where you can keep all your papers to be graded or filed together. This prevents wasted time having to search for them. Another good idea is to keep a separate folder or drawer for each day of the week. Then as you run off copies, file them away. Have a separate binder for student data. Keeping it all in one place will makes it easy to grab at a moments notice. Have a copy of your long range plans handy so that when it’s time to plan, you don’t waste precious time. I know that it’s tempting to go hang out with your teacher friends during your planning period and that’s okay, every once in a while. But… if you want to get cracking on your To Do list, then you’re going to have to make some tough choices and that means you’re going to have to work hard to eliminate any distractions. By distractions I mean talkative neighbors, the social committee chairperson, social media, and even former students that stop by just to say “hi” on their way back from being sent on an errand. 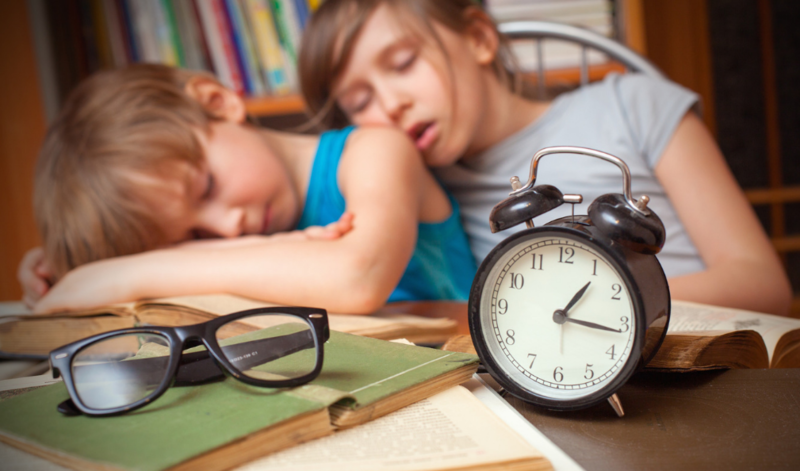 Don’t be afraid to turn off the lights in your class or lock your door during planning time. Trust me, I do it all the time! Do what it takes to eliminate as many distractions as possible… the key is to concentrate on your Top Three. 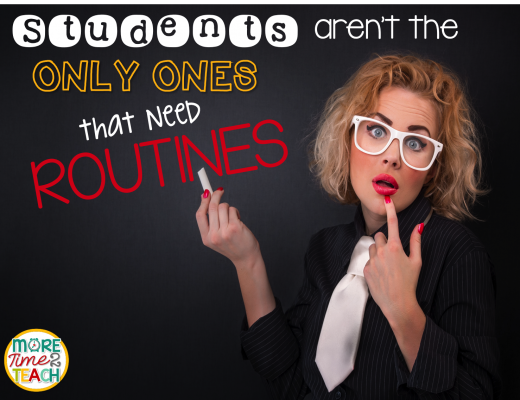 Once you’ve checked them all off, feel free to grab yourself a cup of coffee, go visit your neighbor, and catch up on the latest school gossip…LOL! 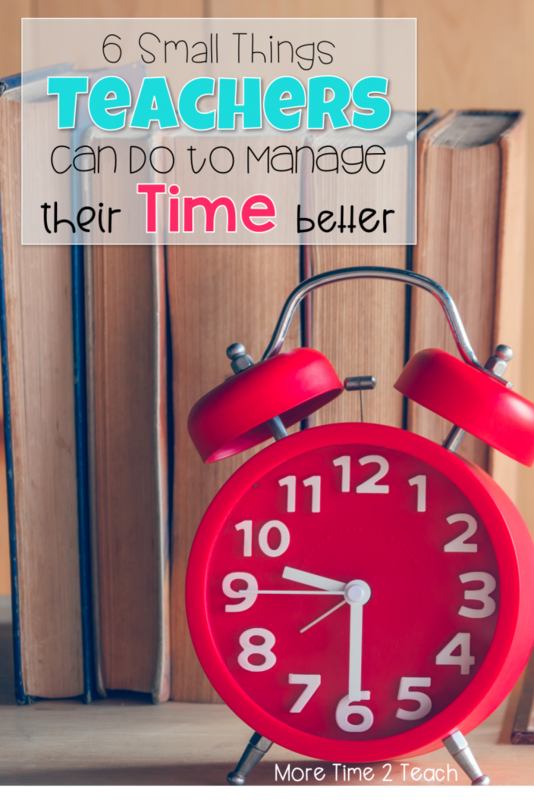 As you can see, there are several small changes that you can make to manage your time in the classroom better. 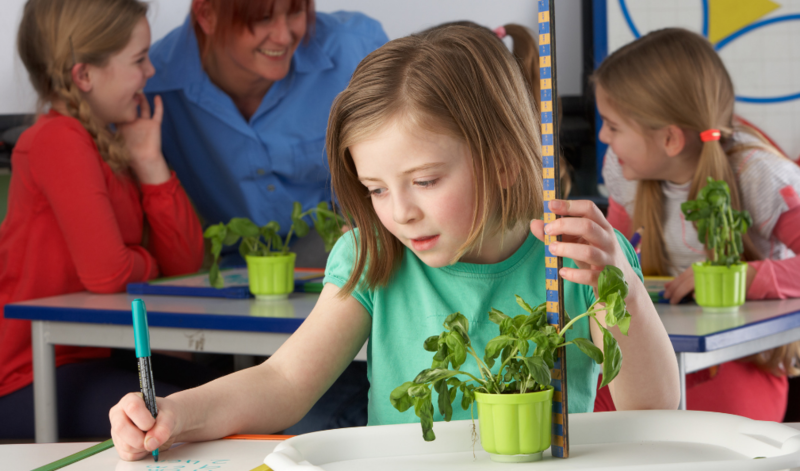 Do you have any other tips for saving time in the classroom? I’d love to hear about them in the comments below.